On 3 May, voters across England have the chance to vote in elections to their local councils. The Democratic Dashboard is Democratic Audit’s voter resource, which brings together an array of information on the local elections taking place. Our aim is to simplify the complicated world of local elections in the UK, and present the essential information in an effort to boost participation. 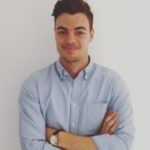 The UK has one of the lowest rate of electoral participation by young people in the OECD, especially at local elections, and we hope to play a part in using the digital environment to bridge the information gap, writes Joshua Townsley. The Democratic Dashboard has been running since 2015 – and at a crucial time for British politics. Disillusionment and disengagement with politics is high; trust in politicians is low. Most people do not know who represents them. The situation is not helped by the often-complicated nature of elections in this country. There are numerous tiers of government in the UK for which voters are regularly asked to cast their ballots, including local councils, directly elected mayors, police and crime commissioners, national assemblies and parliaments. The first past the post system for local councils in England and Wales as well as Westminster also means that the nuances of local politics can vary significantly from place to place. The result is that for local elections, which determine the running of many of our public services, there is a yawning information gap. When are the elections taking place? Which party runs my local council? Is the control of my council likely to change hands at this election? According to Google Trends, the top election day searches are ‘Who should I vote for?’, ‘Who are my local candidates?’ and ‘Where do I vote?’. Participation at local elections is low, especially when they do not coincide with general elections, and turnout is usually between 30 and 40%. Having easy access to localised voter information is more relevant than ever. The Democratic Dashboard’s mission is to provide the necessary information to help fill this gap. We are independent of any political party. We want to help promote engagement in the electoral process by making election resources more accessible and better tailored to your area. Using the Dashboard is easy. Simply put your postcode into the Dashboard’s home page, and you will instantly get information on the upcoming elections and political make-up of your area. Elections are taking place across England from Camden to Carlisle, Birmingham to Bromley, Swindon to Sheffield. 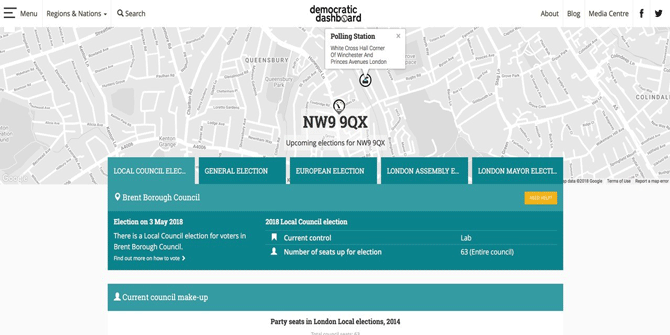 You can use the Democratic Dashboard to check whether you have elections coming up in your area, who the candidates are, where you should vote and what the political balance of the council looks like. This piece was originally published on the Democratic Audit blog.